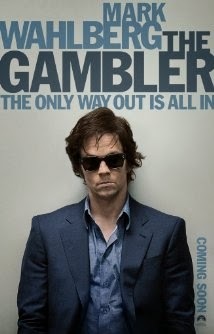 When the film begins it dumps us in the middle of the story, which I am fine with and many time enjoy, but THE GAMBLER doesn't give us any flashbacks or back story to fill in the gaps. At no point are we shown why he has the addiction in the first place, nor do we ever see any motivation the main character has to do the things he does. The romance feels weird and forced, John Goodman is a creeptastic, human version of Jabba The Hutt, and the editor must have been on vacation for most of the editing because there are many scenes that drag on endlessly for no reason. This movie got so long, boring and annoying that near the end I was hoping the main character would get hit by a bus and the credits would roll. (You'll recognize the scene I'm referring to if you are unlucky enough to have to sit through this mess). Wahlberg and Lange both give performances that are incredible to watch, unfortunately the story is total crap. Plot: The story of John du Pont and his obsession with USA Wrestling. Steve Carell has already received several award nominations for his spot-on portrayal of John du Pont and I'm sure there are many more nominations to come. All of them are well-deserved. Steve Carell is not on the screen, it is John du Pont, and it's not just because of the makeup. Tatum and Ruffalo also hold up their end of the film as well as evidenced by the award nominations they are both receiving . This is one of the rare instances where I think it might be a better movie-going experience if you don't already know the story. The twists and turns are fascinating and intriguing, but for those that know the story you will notice the major plot changes and the film will feel slow. FOXCATCHER is a disturbing and creepy film that is strangely gripping and mesmerizing. It is the kind of film that gets into your brain and will sit there for days. Hopefully, this film will gain more attention and be released in more theaters as the bigger nominations come in, but as for now, you'll have to search it out to see it.